Vitrium announces that Protectedpdf now integrates with Salesforce CRM, allowing users to share confidential and sensitive documents with encryption security. 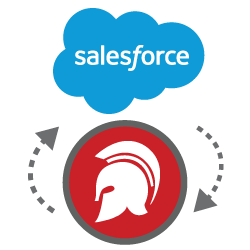 Salesforce integration now included with Protectedpdf! This is a boon for Salesforce CRM users who require encryption or access controls on their sensitive, private, monetized, or copyrighted documents. Vitrium™ announced today that it has integrated Salesforce with Protectedpdf (the popular cloud-based document DRM document security and control software solution). This evolution was a response to customers who are demanding secure document sharing, making it easier to share secured Protectedpdf files with this popular CRM system, along with several other file sharing services. Standard Edition Protectedpdf customers can now easily share their sensitive and valuable documents to Salesforce from within the Protectedpdf interface. The PDF document can be uploaded from Salesforce, secured, and then saved and shared back to SFDC (Salesforce) again. This is a boon for SFDC CRM users who require encryption or access controls on their sensitive, private, monetized or copyrighted documents housed within SFDC. Documents that have been protected within the Protectedpdf interface can be sent to Salesforce, Box, Dropbox, Google Drive, or MS OneDrive cloud sharing services at any time via the “cloud upload” icon. 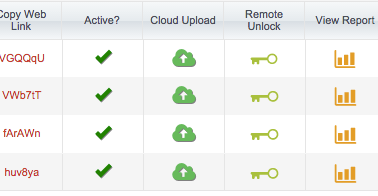 The cloud-sharing feature is included with all Standard and Pro Edition accounts. Pro and Enterprise customers will need to contact Vitrium to see if their custom installation can be integrated. 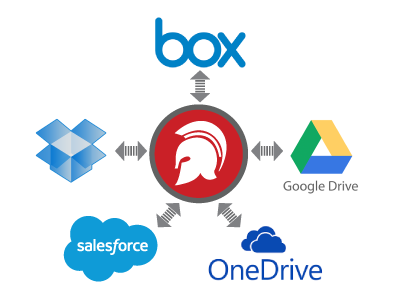 Find out how to use Salesforce, Dropbox, Box, Google Drive, or MS OneDrive, accounts to send files to Protectedpdf, and save secure PDF files directly to any of these services. “CRM systems like Salesforce are relied upon by thousands of businesses every day to store and share sensitive documents like contracts and proposals. With this new integration we can now help businesses protect and control access to these documents with wrap-around document security that is not only easy to apply and administer, but let’s customers share them with the tool they are most comfortable with.” - Chris Butlin, President & CEO, Vitrium Systems Inc.
Vitrium is on a mission to make documents better by providing document security solutions that empower PDF document owners to protect their valuable and sensitive information no matter where it goes. Vitrium’s flagship product, Protectedpdf® has been trusted by over 1,000 companies and accessed by over a million users worldwide. For more information, visit http://www.vitrium.com. Protectedpdf integrates with cloud sharing services. Upload Protectedpdf documents to the cloud.